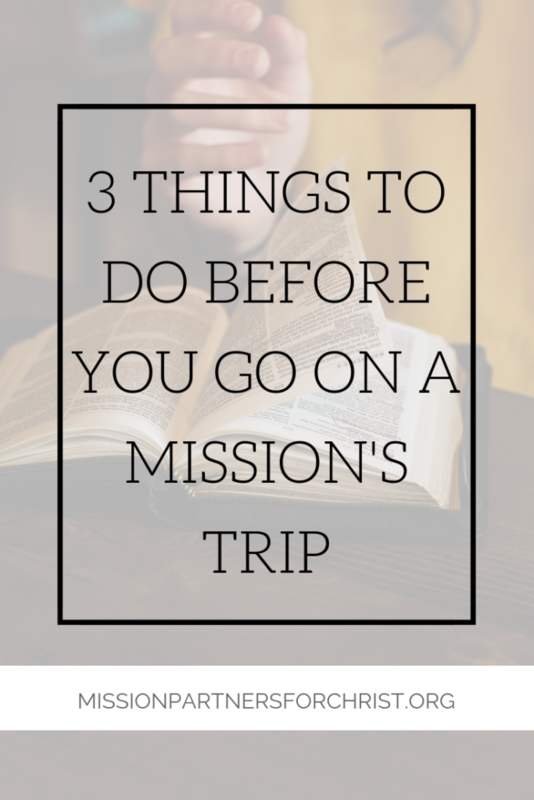 Going on a mission’s trip is different than becoming a missionary. Missionaries have to learn an entirely new language, integrate themselves into a diverse people group, navigate cultural differences and more. But when you decide to go on a mission’s trip — even short-term — you can still take small steps towards immersing yourself into a new culture. It makes the experience much more meaningful the more you decide to learn about a new culture. 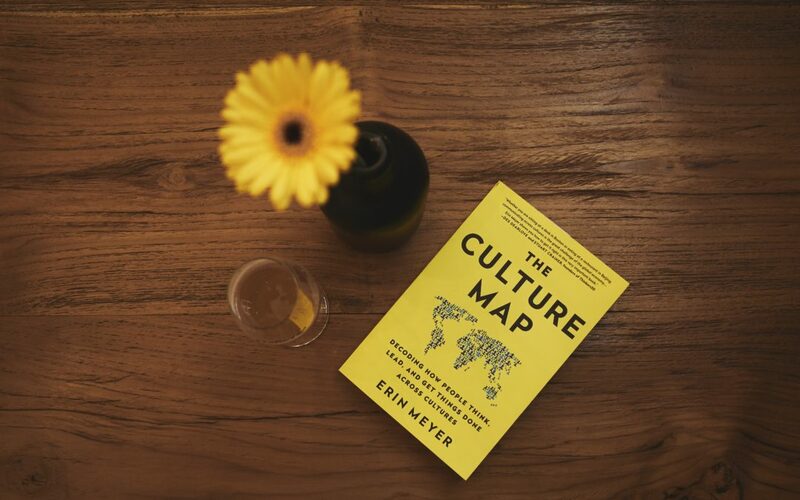 To immerse yourself into a new culture, you first have to spend a significant amount of time learning about the culture. There are so many ways to learn through internet searches, books, or talking with others who have been where you are going. Study the history of the place you are visiting! Find out more about the people you will be serving. Ask questions! If another language is spoken where you are going, download an app like Duolingo and learn the basics before you travel! So many times those you are serving have to fill in the communication gaps, but you should make the effort as well. Learning the language shows the people there that you’re willing to put real work into developing relationships. Use the language basics to develop friendships. 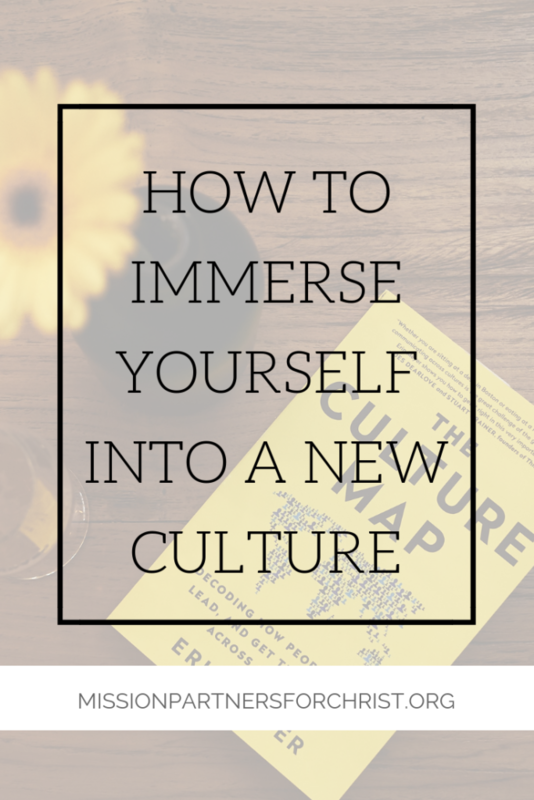 This is a great way to immerse yourself into a culture — do life with people of other cultures and learn from them! Speaking of friendships, a part of being a good friend is compromising. It’s easy to want things to go your way, but try following their schedule instead! Sometimes that means eating a really late dinner or possibly waking up early with the sunrise. Do things their way instead of trying to bring your culture to them. Another important way to immerse yourself into a new culture is to drop your assumptions. We all go somewhere with preconceived ideas. Some of that could have come through the early research you’ve done. But be open to the fact that, yes, researching an area you are traveling to is important, but it doesn’t tell you everything! People are unique individuals and can surprise you! Go with the flow and observe real-life, day-to-day happenings upon your arrival and follow those! Live true to yourself while also genuinely honoring and accepting the culture you are visiting. Observe. Be sincere. Ask for help! Be open! Disclaimer: This article isn’t saying to pretend to act like you are someone you are not. Don’t pretend to be apart of a culture in a disrespectful way. Approach your new cultural experience in a way that says you know who you are and where you come from but that you want to learn about and experience their culture in a genuine and honest way while you are there. Tell us all about ways you have immersed yourself into another culture. What was that experience like for you? 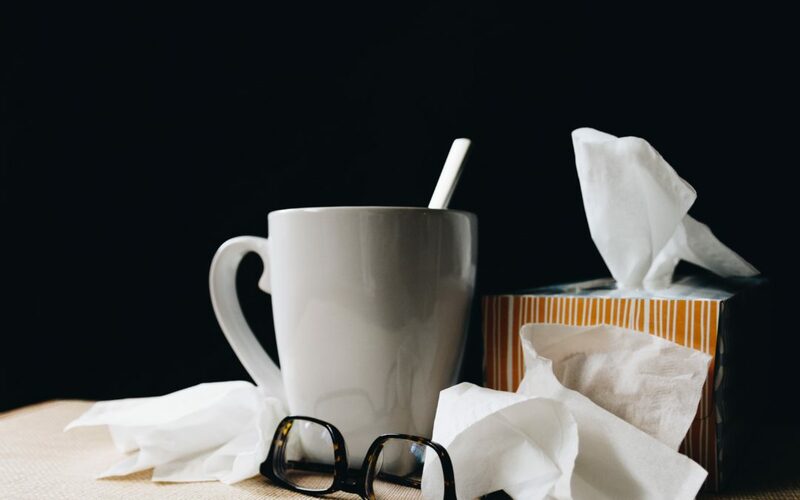 Have you ever thought about what you would do if you got sick while traveling? We hope this never happens, but sometimes it’s reality! When traveling, your body adjusts to a new environment, schedule, and eating habits! This can make your body fight back and show symptoms of sickness. In just a few weeks we will be posting about the world’s water crisis. The fact is, there are places in the world that have contaminated water. Do your research of the place you are traveling, and if it’s an area that does not offer safe drinking water, be sure to only drink the bottled water. This will help you avoid vomiting, diarrhea and contracting a disease. “Hand washing is the single most important thing anybody can do to protect their health,” advises. Dr. Philip Tierno, professor of Microbiology and Pathology at NYU School of Medicine and author of The Secret Life of Germs. Keep in mind, if the water where you are staying is contaminated, this is not a way to help you avoid sickness. Instead, keep your hands clean through hand sanitizer or other sanitizing methods. It’s important to visit with a Travel Clinic before traveling overseas to get up to date on health information as well as vaccinations. We created a Complete Vaccination Guide For Travels you can refer to as well! Get your body’s immune system working at its best by taking vitamins before and during the trip! A few suggested vitamins are a probiotic, Vitamin C, and Elderberry. Talk to your doctor about the best vitamins for immunity. Bugs carry diseases — some deadly such as Malaria. Click here to read everything you need to know about Malaria. The key to avoiding bug bite related illnesses is to do your best to prevent bug bites in the first place! Bring the best bug spray and a mosquito net for bedtime if you are traveling to an area with Malaria. Also, where clothes that cover your skin if possible. It may be hot, so be sure the material can wick away moisture. I know we mentioned bottled water, but we also want to mention the importance of staying hydrated. If you are working in a hands-on environment with a busy schedule, it’s easy to forget to take frequent water breaks. But, to avoid illness and to keep yourself healthy, make staying hydrated an important priority! What tips do YOU have for avoiding sickness while traveling? Tell us in the comments! 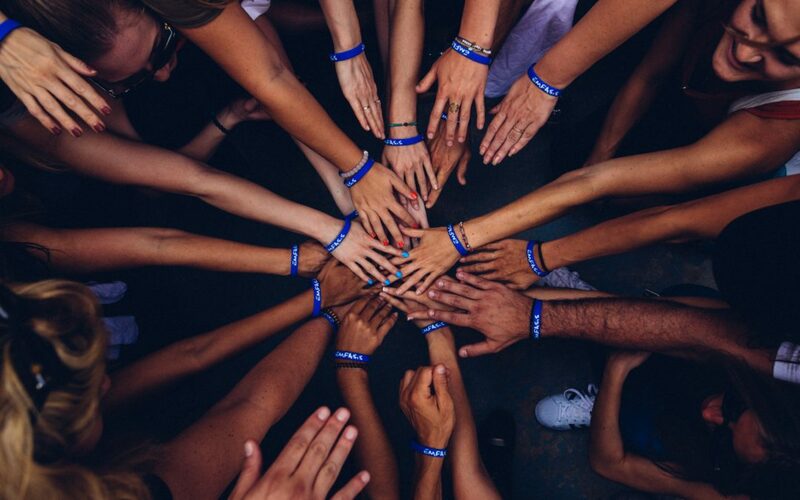 When you’re on a mission’s trip whether as a leader or another part of the team, it’s hard to think about fitting in self-care. Of course, the main reason you are on a trip is to serve, but you can’t serve at your best if you don’t take care of yourself. When you get involved in the busyness of your trip’s schedule, it will be hard to come up with ways to take care of yourself. You need a plan going into the trip. Think through how to incorporate your regular self-care practices into your time away. Sometimes taking a shower is the only chance you will get to yourself on a mission’s trip. It’s a chance to clear your head and clean off the grime from a full day’s work. Since you’ll only be taking travel sized shower items, you might as well splurge for the luxury kind! Pick out the fancier soaps and shampoos that you may not get otherwise. Breathe in the citrus or lavender scents and enjoy your shower break. Create for yourself a spa-like experience and guarantee yourself 5 minutes of time to be alone and present. Pack some of your favorites pajama bottoms, slippers, or other comfort items to relax in at the end of the day. There’s not much you can control throughout the day during a mission’s trip experience, but you can control the way you end the day and the comfort you allow yourself to enjoy for the night. 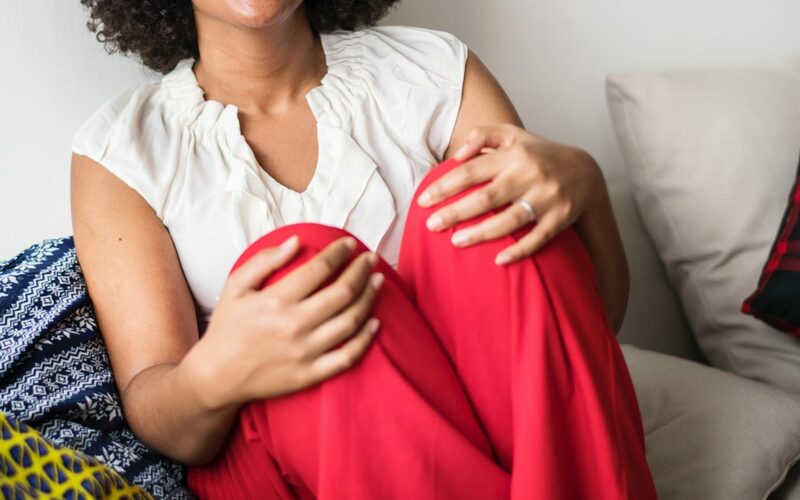 Self-care could be as simple as your favorite hoodie sweatshirt or a soft blanket you enjoy snuggling up with at the end of the day. Be sure to give yourself a few moments to each day to get comfortable. This will refresh you before you start back in serving the following day. Sometimes there will be opportunities to go on a run or possibly do a workout while traveling, but mostly there won’t be a lot of time for exercise. However, if you can find the time to do simple yoga stretches to unite your body and mind, this will give you a moment of self-care. Try the cat-cow, downward dog, mountain, and child’s pose. This will promote relaxation and give you a new level of energy after it’s completed. This is the most important form of self-care. Be sure you take time to be alone with the Lord and in His Word. That is what’s going to fill you up and sustain you during the time you serve. If you are serving others but neglecting your spiritual life in the process, then service is distracting you from the most important thing. Schedule daily time for spiritual meditation and allow the Lord to fuel you for the work He has called you to do. 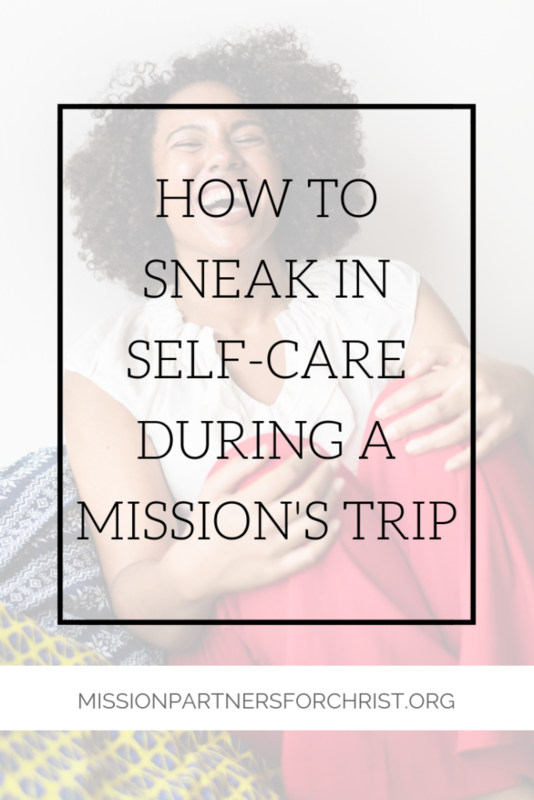 Tell us in the comments what you choose to do as self-care on a mission’s trip! What is your vision for the trip? When you get clear on your why, you can be intentional about how you spend your time on your trip. If your “why” is to gain more experience in the medical field, that will be your focus. If your vision is to have opportunities to share Jesus with those who aren’t able to hear until their physical needs are met, then that will be your purpose and every action you take will be centered around it. Define your why so that your trip can have a clear, focused intention and you can walk away knowing that you gave it your all. Whenever you agree to follow God into a new and uncomfortable situation, you are opening the doors to spiritual warfare. Now, it’s important not to let this scare you because you are already victorious. You have God on your side and there has not and will not be a time He is defeated. However, without being aware of the potential spiritual battles and without calling on God, you alone are left vulnerable. One way to be sure you are preparing for battle is to gather people around you who will agree to pray for you before, during, and after your trip! Prayer is like an armor of protection around you, and it’s important to wear this armor on the mission field. 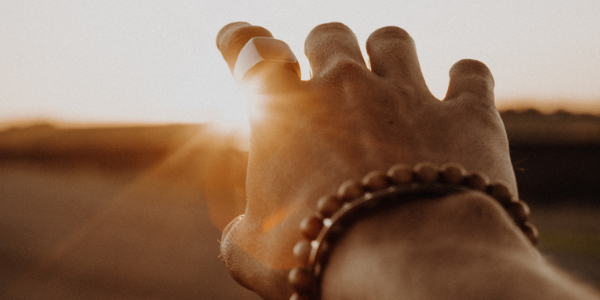 Here are 7 ways your prayer group can pray for you. You may be the first and only one to plant the Gospel seed into the people’s lives you meet on the mission field. If this is the case, you must be prepared spiritually. You must know the story of salvation and be able to share it clearly and accurately. 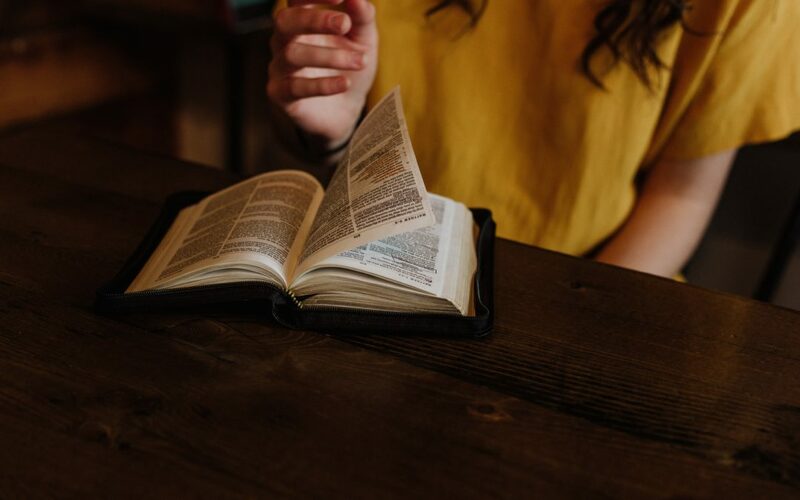 One of the best ways to prepare for this spiritual calling is to get into God’s Word. We must know God if we are going to share Him. And this doesn’t mean knowing him through a third party like a pastor or a devotional book (though that’s important). This means diving directly into His Word. When going through the Bible, don’t just mindlessly read to check off a “must-do” task on your list. Instead, allow God to use His Word in your life because it is living and active! 1. What does God want me to understand? We hope you will use these tips to prepare for your trip. Let us know how we can be praying for you as you make your decision to join us on the mission field! 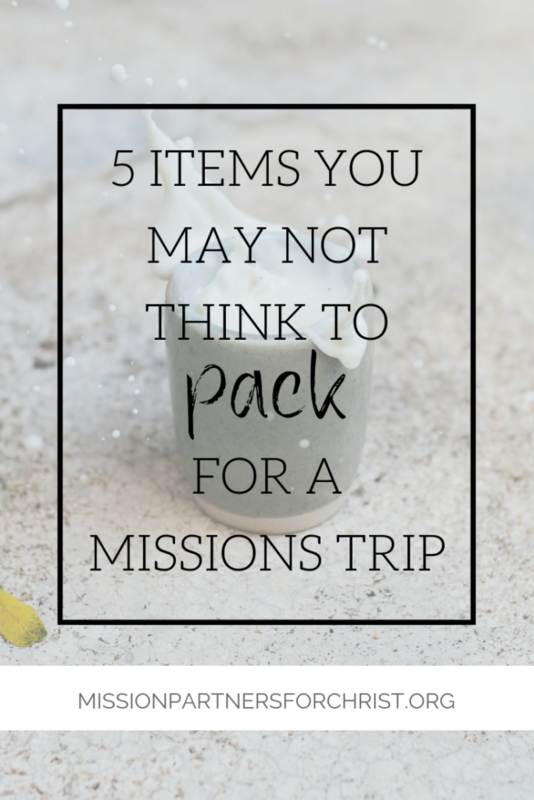 We have written a post in the past all about the essentials to pack for a mission’s trip (find the packing list here), but there are some things you may not think to bring but will thank us later, after you read this post! This one was on the packing list, but it’s often looked over or a flashlight is chosen in its place. But there is a big chance that where you might be going, the power is not always consistent. When I was abroad for three months in DR Congo, we would have power working all day and then always lose it at 7 pm at night. I more than wished I had brought a headlamp for hands-free light! I don’t know about you, but wherever I am in the world, I want to wake up and have my tea. My husband is this way with coffee. 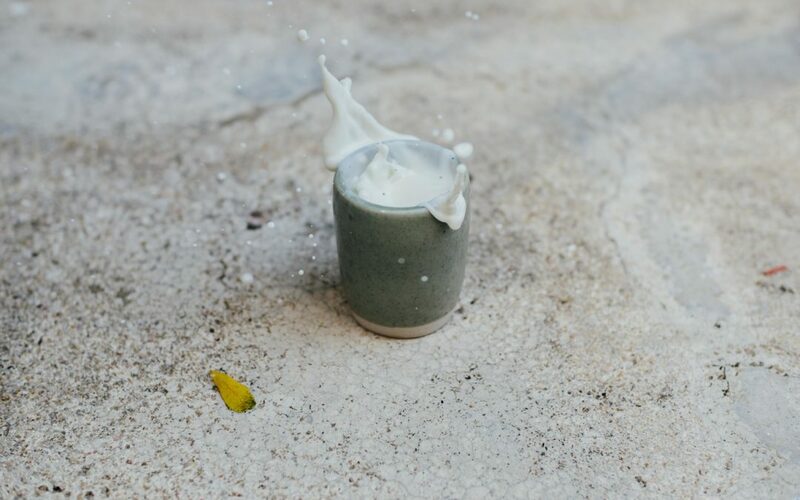 A tumbler is great for a mission’s trip because you can make up your coffee and take it to go (wherever that may be). And no matter how much work you have that morning, your morning beverage should stay warm! These are multipurpose. Use them as a hand towel, hair tie, or to dip in water and then tie around your forehead or neck to stay cool. Use to filter out water if you are ever in a desperate situation where clean water isn’t available. I feel this one is self-explanatory. I mean, duct tape fixes everything! Just wrap the tape several times around your water bottle and then peel off whenever you need some throughout the trip! Use it to patch up items that break or tear, hold things together, cover up dangerous outlets, and more! As much as you will want to shower, sometimes it’s just not always feasible. Baby wipes will give you that fresh feeling until the opportunity to shower presents itself. Use to freshen up throughout the day or at the end of the day before climbing into bed. You’ll find yourself using wipes more than you imagined and probably lending some out to other participants on the trip! What extra items do YOU recommend for the trip? Let us know in the comments! As children of God, we have all been given unique gifts. Strengths are such an important part of understanding a person and the way God created him/her, yet we often don’t take the time to explore our given gifts/strengths. We volunteer for specific jobs or tasks, but they don’t always align with our gifts and talents. If we want to make the most impact in the world, we have to start living in a way that honors our given strengths. If you are attending or leading a mission’s trip, I challenge you to spend time beforehand really delving into strengths discovery. There is a free Character Strengths Assessment participants can take here. Leaders should have participants send the results to them, and then the entire team can meet together for a debrief to follow. Be sure that everyone attending the trip (leaders included) takes this assessment. What surprised you about your results? What pleased you about your results? How do you think your results will positively impact the team? What responsibilities during the mission’s trip experience do you believe would fit well with your unique strengths? 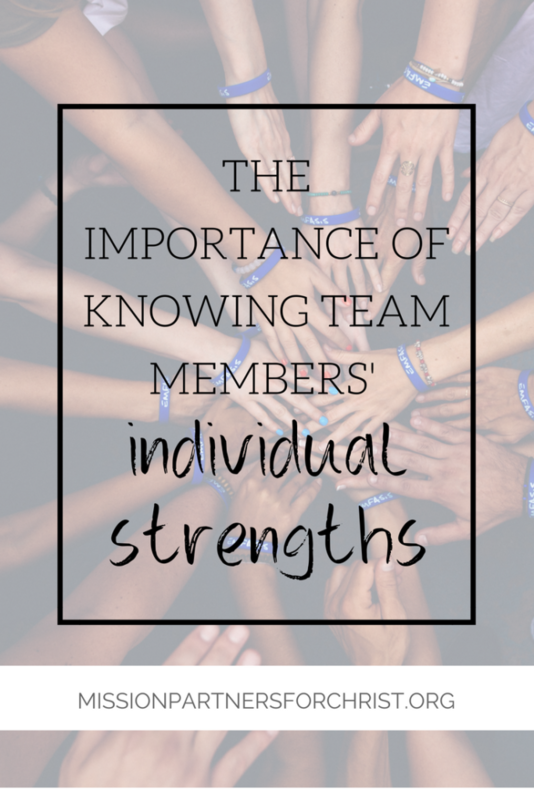 After these questions are answered, leaders should work hard to allocate roles based on the strengths of the team members. Responsibilities should be given to the ideal person for the job based on his/her strengths. And remember, the best kind of team is one that is well-rounded. Your vision for your trip will be better accomplished when you include strengths discovery in your preparations. Think about it; some participants have never explored their strengths, so not only will they be able to discover the ways the Lord created them but they will, for the first time, get to live into their strengths while on the trip! This will increase the impact they will make and transform the way they live from then on!